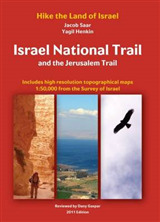 The full guide to the Israel National Trail - Third Edition, 2016.The Israel National Trail is one of the most exciting hikes in the world, expanding over 1000 kilometres from the north to the south of Israel. 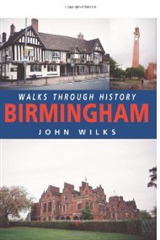 You can hike its entire length, or just selected sections of your choice. 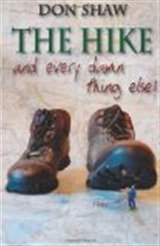 It is the ultimate Israeli hiking experience, and you can do it easily with the guide that simply has all you need. 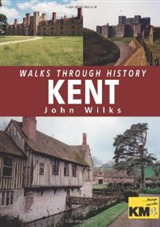 This full and comprehensive guide includes 55 topographical maps 1:50,000 and 7 road maps 1:250,000. 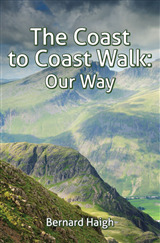 It is an ultralight guide - it weighs only 265 grams.This is the only guide that includes the trail maps in English. The guide offers a full description of the hike in both northbound and southbound directions together with the hiking profile - distance and height above or below sea level. 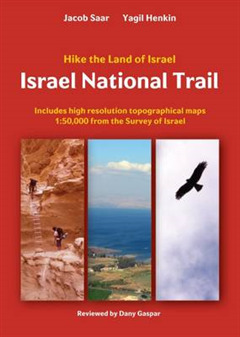 The maps along with day-by-day trail descriptions and tips make this guide your one-stop shop and all you need to hike the Israel National Trail. The guide is suitable for experienced hikers as well as families and individuals looking to explore Israel in a whole new and exciting way.The guide has links to important information available as free downloads including how to cache water in the desert, contact information of people in the Negev desert who will cache water for you, a list of trail angels, transportation from the airport to the trailhead in Dan or in Eilat and much more. There is a QR code for trail changes, plus recommended INT alternate routes, description and maps 1:15,000 of the Jerusalem Trail plus the best 25 day-hikes in Israel.